Brooks Running has a simple purpose - to inspire people to run and enhance their running experience. Kinda like Afterglow. They might not be quote as fluro (although some of their shoes have a crack! ), but the shine just as brightly when it comes to performing on the trail. They create running shoes and clothing that will keep you running longer, further, faster and happier. Brooks creates men's and women's running shoes for feet big and small, wide and narrow, in need of support, or looking for a little cushion. Not sure what shoes are best for your run? Just check out their great Shoe finder tool for advice. Trail running perfectly embodies the Patagonia ethos, with an emphasis on minimalism, fast-and-light passage through wild places, and self-reliance. Far from the bing and buzz of modern technology and the sanitised existence of the daily grind, it lets us access both distant landscapes and inner landscapes in the most intimate of ways. Patagonia trail running gear is designed to comfortably stand up to the abuse of long, dusty, muddy, snowy, rainy, and sunny miles far from paved surfaces. It’s developed in a long process of lab testing, field testing, and feedback with trail runners who use their gear for the most quixotic missions in the harshest conditions, from rugged mountains to rivercut canyons to the sunbaked red rock dessert. And of course, on the Surf Coast Walk, located non the Surf Coast which is home turf for the Patagonia Australia HQ! Located not much more than an hour beyond Melbourne's West Gate Bridge, the Surf Coast Shire is a stunning stretch of coastal landscape that stretches from Torquay, Anglesea, and Aireys Inlet to Lorne. It is also the gateway to the Great Ocean Road region. One of it's principle attractions in terms of enjoying the environment is the Surf Coast Walk, a 44km graded walking trail stretching from Torquay to Fairhaven. A perfect marathon course, you'd think. Well, we did. GORCC is a Committee of Management (CoM) is a community-based, not-for-profit organisation comprising 12 voluntary committee members (appointed by the Minster for the Environment and Climate Change) along with some 30 permanent employees. GORCC manages 37 kilometres of Crown land reserves along the coast in the SCS, from Point Impossible east of Torquay to the Cumberland River southwest of Lorne. Its responsibilities extend to the Port of Lorne, Taylor Park in central Torquay and Queens Park in Lorne. GORCC also manages three coastal holiday parks on the Surf Coast including Torquay Foreshore Caravan Park, Anglesea Family Caravan Park and Lorne Foreshore Caravan Park. The Torquay Foreshore Caravan Park is an event partner, also, and is a perfect accommodation option for SCTM participants! Ask them about a 10% discount fr any SCTM participant! We're super excited to have Tailwind on board as our hydration sponsor. A new force in the endurance scene, Tailwind’s potent energy and electrolytes are all you need to go all day on trail. No juggling gels, pills, or chews—just pour, shake, and go. Most drinks require you to supplement calories and don’t contain anywhere near the electrolytes needed to replace what you sweat out. Tailwind’s fuel can meet your complete calorie needs, and sipping it regularly gives you steady energy all day. Tailwind also has a full complement of electrolytes that mimic the composition and proportions of sweat, so you don't have to take separate electrolyte pills to make up for what's not in your drink. Check in to any of the event's hydration stations and you'll get a taste of what Tailwind is all about. This awesome bunch of people, all volunteers, have invigorated the trail running lifestyle on the Surf Coast. Surf Coast Trail Runners welcomes any runner to their home patch trails extending from the You Yangs outside Geelong, to the Bellarine down to the coast itself. They have formed a passionate community of trailites who love their backyard trails. They support the event via promotion assistance and volunteer pool. And we thank them! Torquay Sports Medicine Centre will be providing post race massage at the Surf Coast Trail Marathon to ease your weary legs on the day as well as answer all your running related questions on how to keep out there and active! Located on site at the Aireys Pub, Aireys Inlet (about 1km from the SCTM finish line), Rogue Wave Brewing Co. creates a variety of premium beers, from clean crisp pilsners, sessionable lagers, wheat beers and pale ales to funky unfiltered IPA’s. Christopher Haren, the resident brewer, is passionate about all things beer and brewing. They use no artificial ingredients or additives. Just pure, fresh, local, Australian made beer. Suunto has quickly become the go-to for trailites thanks to its market-leading GPS-watch technology. From the Ambit range, through the pared-down Trainer through to the top-end Spartan Ultra and newly released Suunto 9 - and more innovations to come - Suunto has long been the choice for wild runners and trail adventures at the front middle and back of pack - anyone who wants to record their running adventures with accuracy. Okay, and maybe upload to Movescount so they can boast. 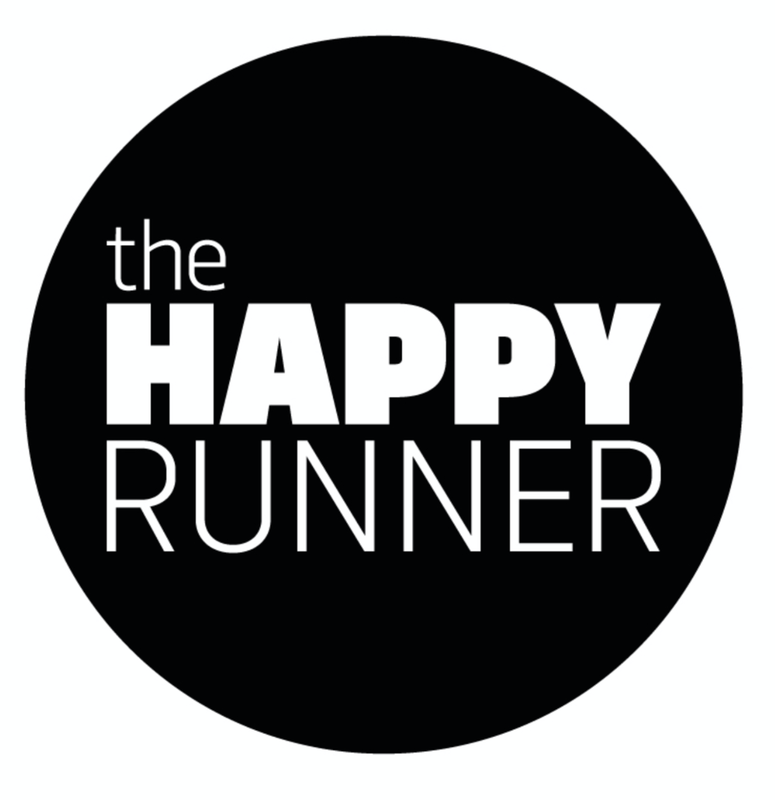 The Happy Runner is a locally based (Bell Street, Torquay) running specialist store offering what it says on the tin: happy service to make happy runners. Great range of shoes and clobber, including plenty of trail kit (shoes, bags etc) plus hydration and nutrition options. Covering the Australia, New Zealand and Asian trail patch, Trail Run Mag is the most read trail running lifestyle publication across the regions. Offered free online via pdf download or on mobile devices via subscription on iTunes or Amazon, it packs its digital pongees full of dirty singletrack goodness. Our event Registration and start line HQ, The Salty Dog Cafe (Fishermans Beach) is also our caffeine dealer and culinary brekkychefs. The crew will be there early on Saturday (and throughout the registration day Friday) to fuel you up. The Surf Coast Walk is the heart and coastal soul of the event. A 44km journey along the famous Surf Coast from Torquay to Fairhaven, the route encompasses stunning headland vistas, sensational beach stretches, including the iconic Bells Beach, one of surfing's worldwide Meccas, Ironbark forests, heathland, clifftop meanders estuary and river crossings and the beautiful Split Point Lighthouse. While runners will tackle its length in a day, the walk can be split into smaller sections, and there are numerous seaside villages to explore en route. Fairhaven is a beautiful surf beach located on the Great Ocean Road between Anglesea and Lorne. This magnificent stretch of sand and surf takes in Aireys Inlet, Fairhaven, Moggs Creek and Eastern View. Fairhaven Surf Life saving Club has proudly provided a community service since 1957. It all started at Fairhaven in November, 1957 when a public meeting at a church hall in Aireys Inlet made the community decision to form a local surf life saving club. The club will be host to the finish of the Surf Coast Trail Marathon. It also has another run event on in January of each year, the Tim Gates Classic (10km / 5km). Fittingly there is a book about the history of the club titled No Footsteps Backwards. Take that onto the course with you (the saying, not the book per se). Anglesea Primary School, like many State Schools, suffers from an overwhelming burden of things needed doing, not enough funds to do them. So we engage parents and helpers from Anglesea PS to join the SCTM fun and volunteer, with each volunteer position earning the school $150 in donation. This one’s a personal to one to the RD, as his daughters go to school here, and upon hearing of the many needs (including funding for teachers/aides, kitchen garden programs, and environmental initiatives) he decided to use the event in part as a fundraising tool for the school.